LUCY BURDETTE: I confess that I've become obsessed with pimento cheese. It began in Elizabeth City, NC at my niece Rachel's graduation party. Her father, Harry Williams, is a chef. Lucky for her (and for us! ), he offered to cater her congratulations graduate party. She picked the menu and there were tons of southern delicacies, but the one I hovered over was an enormous vat of pimento cheese. Pimento cheese isn't new to me--I like to try it wherever I see it (mostly in the south.) If you don't follow golf, you might not know that the Masters golf tournament serves only a few kinds of sandwiches, including pimento cheese on white bread. The recipe is closely guarded, as you can imagine. As I hunted for the right recipe, I found there are more variations than you can shake a stick at. The toasted pecans (not at all traditional,) the onions, the scallions, the pimento only, the mayonnaise contingent vs the cream cheese adders. The white cheese, the yellow cheese, the sharp, the mild...even some Parmesan. spreading, you may add more, plus hot sauce to taste. Chill in a pretty bowl and serve with crackers and celery. Or use in sandwiches. That is my version. Now I will give you my niece's father's version, which was to die for! Tip: Leeks are always gritty so after you dice let them wash in fresh cold water for a few minutes. Then take your hand and scoop them from the top leaving the grit in the bottom of the bowl. NOTE FROM HARRY: I was the Sous Chef at The Dumbwaiter in downtown Norfolk, working under Chef Sydney Meers. This was his recipe and one of the most popular items on the menu. We used pimento cheese in many ways, such as, Pimento cheese crème fraise , pimento cheese cream sauce, polenta, spinach and pimento cheese dish that Sydney called lasagna, pimento cheese topped tart apples on oven baked turkey sandwiches to name a few. Southern Living magazine came to The Dumbwaiter on a tour of Norfolk and when the article was written (which wasn’t even a food article) the writer stated that the Pimento cheese at The Dumbwaiter was worth the trip to Norfolk. Now back to me, Lucy. The only pimento cheese mistake I made while in the South was ordering a grilled pimento cheese sandwich in a deli. The bread was a fake whole wheat and the cheese very heavy on warm mayo. Honestly, we couldn't even make it through half a sandwich. And we were hunnnnnnggggrey! But I can vouch for both of the recipes here--they make the perfect snack for reading. Serve with crackers and celery. 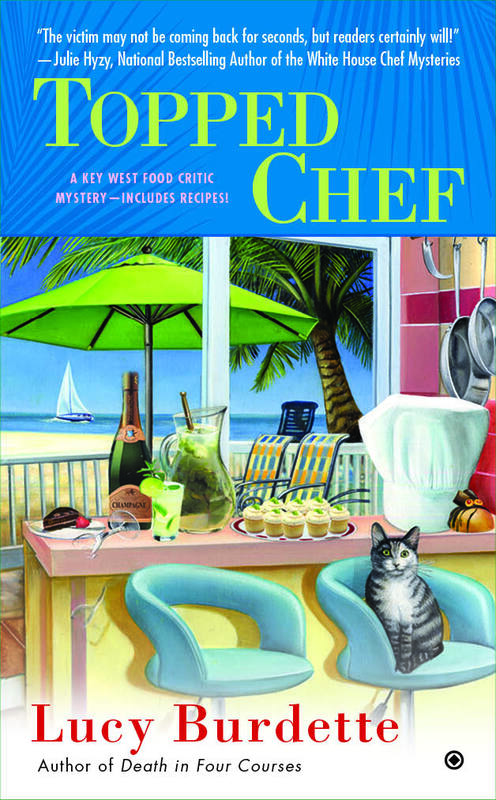 And don't forget to order TOPPED CHEF so you have something to eat while reading--guaranteed to make you hungry! Perre Magness's PIMENTO CHEESE, celebrating this classic Southern favorite (Pimento is a religion in the South) -- with recipes history, anecdotes and tips, to BJ Berti at St. Martin's, for publication in Fall 2014, by Lisa Ekus of The Lisa Ekus Group (NA). I love, love, love pimento cheese. Many years ago the director and the secretary of the school where I taught had a 'pimento cheese war' going on. At our end of the school year picnic they would each make loads of pimento cheese sandwiches and want the rest of the staff to vote!!!! I was lucky enough to get both their recipes. Thanks for the memories. Oh Sharon, what fun! do you remember what made the winning recipes special? Love pimiento cheese and used to make my own, with some cayenne, no bell papers (I don't like them and they don't like me!). Then I discovered Palmetto cheese (made in SC) and now am hooked on the original flavor, not that with bacon or jalapeno. Add a slice of fresh tomato for a great sandwich (on rye). Agree with you about shredded cheese but have to add that though I've used Hellman's for years, I recently discovered it's owned by Monsanto. No more Hellman's (or Kraft) for me. Lucy, I have to admit I've never been a pimento cheese person, but you've made me want to try this out again. Love the pic of the family!! 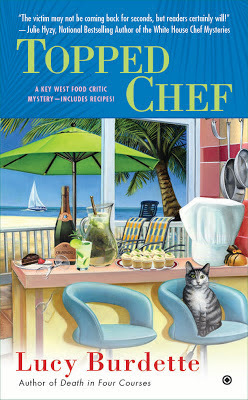 YOU MAY need it in one of the forthcoming cheese shop mysteries:). Thanks for the family compliment--we were so proud of her! You and your sister have the same smile! Southerners do love their pimento cheese. I think it's a staple in many households. Yours sounds delicious, and I love the Greek cream cheese in it to lighten it up a little bit. But, ugh, that sandwich you couldn't make it through. Poor Lucy! I love pimento cheese! We Canadians have no idea how to make it, so thanks so much for this, Roberta/Lucy! Lots of company coming and this will do the trick. Amy, I don't have it, but have asked my niece and will let you know if it turns up! He didn't have an exact recipe but this is what he said- mix his pimento cheese with some spinach and andouille sausage in a bowl. Make tart crust by combining butter and flour and a little salt. Put the pimento cheese filling in the tart. Top with mashed potatoes. Bake in a 400 degree oven for about 30 minutes. Add white cheddar cheese on top of the mashed potatoes and bake for another 10 or so minutes.